What more can I seriously say about this gorgeous location! Banff National Park is situated in Alberta yet to some it might as well be in Beautiful British Columbia given it’s proximity to the border. Do I enjoy photographing in Banff… Hello! Yes! Is it better than Canmore given that Canmore is just 22kms away. Well to some, Banff is the only location where Canmore feels more at home to them. Both offer very different things to each other. Canmore is quieter town to Banff, and you’ll not see too many weddings in Canmore compared to Banff. 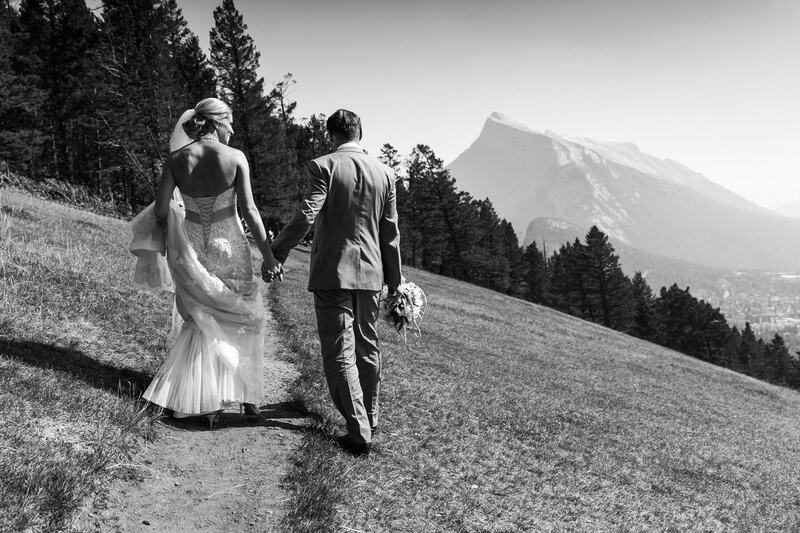 If you’re after a more peaceful wedding, then Canmore might be the better of the two location. One thing is for sure; you won’t regret anything at all about your choice in locations. Banff is located 1 hour 30 minutes West of Calgary. It is set in the picturesque Rocky Mountains, Banff is a spectacular place to become married. The scenery in the Canadian Rockies is just breathtaking. 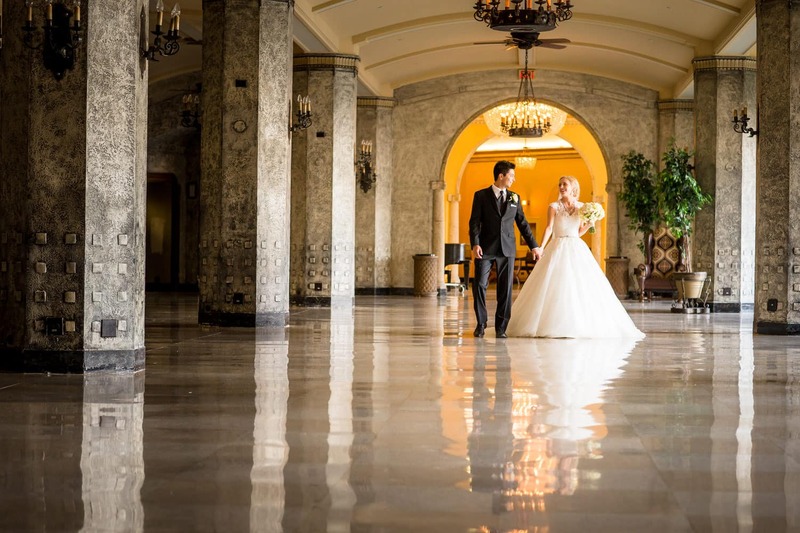 Many of the hotels and restaurants in Banff are wedding friendly, to help create your perfect wedding day. Don’t forget they’re after every cent they can get from you so too right; they’ll be kind to you. If they’re not, go elsewhere, there are many excellent venues in Banff to select from. Do you have a budget for Banff to work with? If so, forget it. Hehe. Seriously, once you see Banff and your hotel, you’ll want everything. For sure, I believe you should get caught up with it. Love the process and have fun with it. 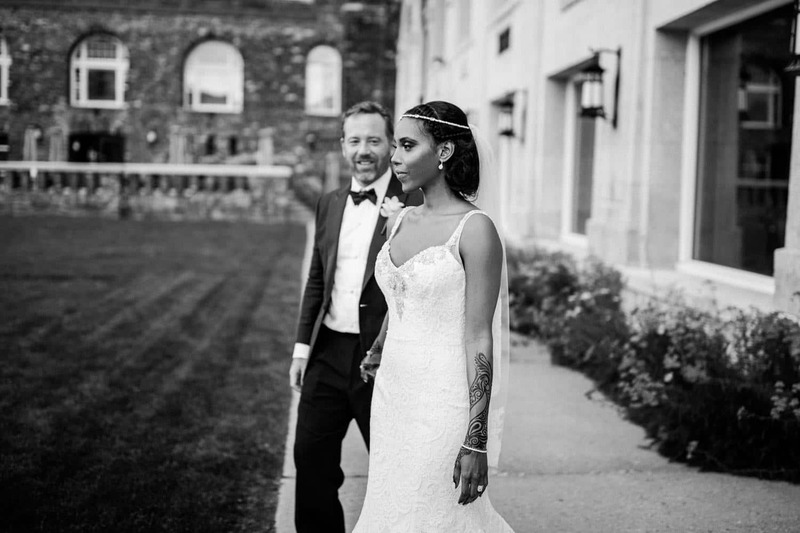 You might ask why should I bring a Calgary wedding photographer out to Banff when there are Banff wedding photographers located in the Rockies. Well, I consider myself one incredible photographer and I only charge a small travel fee so why wouldn’t you bring me to photograph your day! I’m not saying that many of the Banff wedding photographers are crap (well really I am). Seriously, many if not most are the definition of photography embarrassment and shouldn’t be let near to a camera. Here’s a little story for you. The photographers in Banff became so disgruntled with photographers coming from out of town that they worked very hard to ban them from working in the area. Today, and for the past few years, to work in Banff out of town photographers have to purchase a permit close to $1000 per year. I pay this license every year and am allowed to work in Banff as a wedding photographer, so you’re covered, and my insurance is then valid. But still, it’s a naughty thing that has occurred in Banff and when you hire a Calgary photographer they better have a permit or your photographer could be thrown out of the National Park. Did the photographers in Banff achieve anything by going this route not really! Banff wedding photographers wanted to keep work in Banff for themselves rather than focus on excellent customer service and fabulous photography. There are a couple of wedding photographers that rock (plus I’m friends with). But the others are a total embarrassment and should not call themselves photographers. Just please be careful. Don’t be caught out by these photographers. You may be thinking you need a Banff wedding photographer because they will be experienced knowing all the best locations in the Rocky Mountains to shoot great photos. If you have not read my Canmore article, then you won’t know that I lived in Canmore for ten years and practically lived in Banff as well. I know all the cool locations to obtain those creative shots. Probably I know more than many photographers in Banff just return to the same old same old spots. Let’s get creative on your special wedding day and get those WOW shots. Many hotels in Banff National Park are quite stunning and your experience of having a wedding in such venues will be extremely rewarding. For instance, hotels like The Buffalo Mountain Lodge, The Rimrock, and the Banff Springs Hotel offer a total worry-free experience. Incredible staff and stunning locations will create a mind-blowing experience for you. Another matter to consider when booking a venue in Banff is how many rooms you’ll need for your guests. Did you know that many hotels have a minimum set number of rooms you’ll need to book to secure your date? This is just something to keep in mind when planning your day! You won’t have to pay for me to stay in Banff for a night. I will happily travel to Banff. Just cover my travel costs, and we’re all good. No need for overnight hotels for me and my assistant. Yes, there some wedding planners who pretty much demand that you book a night stay for all vendors to be at the hotel. Let’s shoot from sunrise to sunset and then plus some. Lol. Do we seriously need a timeline you might inquire! I’m super creative, and it kills me to be hired in locations where there’s a mindset of “let’s just wing it.” If you do this, you’ll be bummed as you’ll end with a lot less than you can imagine. Nobody will know where to be, and you’ll be stressed all day long. Don’t be a stressed out bride. Enjoy and love your day and be organized. I am frequently asked how much time is enough to photograph a wedding. Well, photographing a wedding in Banff does not change that much to shooting a wedding in Calgary. The critical thing to remember is the creative session. 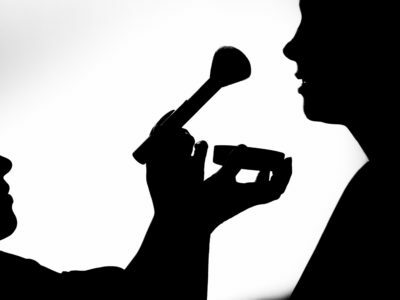 If you would wish to maximize the time for this, then allow two hours as a minimum. 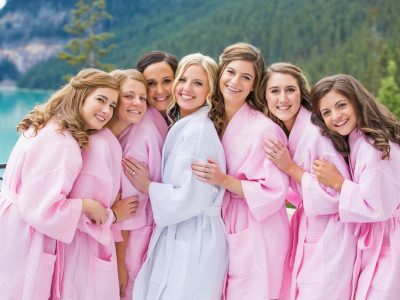 If you have a large group bridal party then definitely add more time to get in and out of cars. I have a few more tips for your wedding day timeline so please don’t hesitate to get in touch to chat. Banff engagement photography shoots are similar to that of Canmore engagement photography sessions. 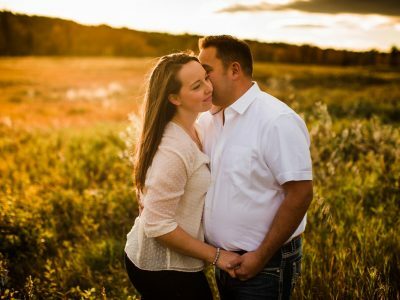 I most definitely suggest not photographing your engagement shoot in the same location to where you’re tying the knot. If your wedding is in Calgary, great. Let’s head to Banff for your engagement shoot. If you’re not sure who I am by now, I am a professional wedding photographer situated in Calgary who loves Banff very much. I will happily travel to your wedding or engagement shoot in Banff, so please do not hesitate to contact me if you would like to chat more about your day.